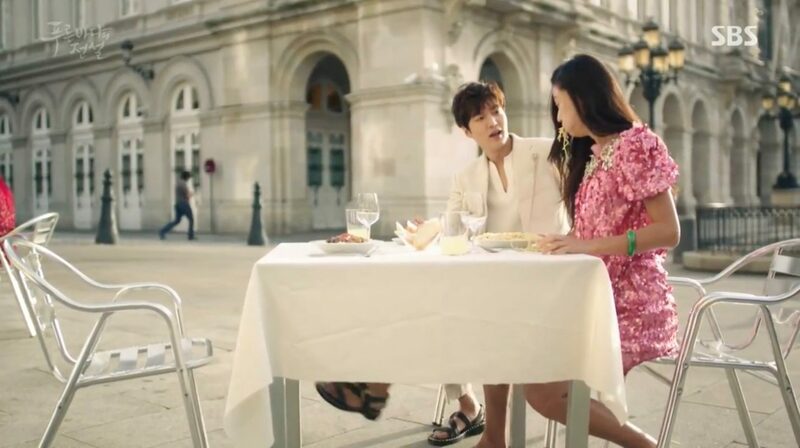 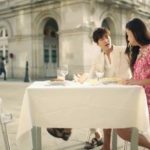 Heo Joon-ja (Lee Min-ho) takes Shim Chung (Jun Ji-hyun) here to dinner in episode 1 of Legend of the Blue Sea (푸른 바다의 전설) (SBS, 2016-17). 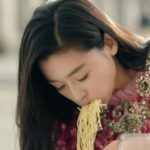 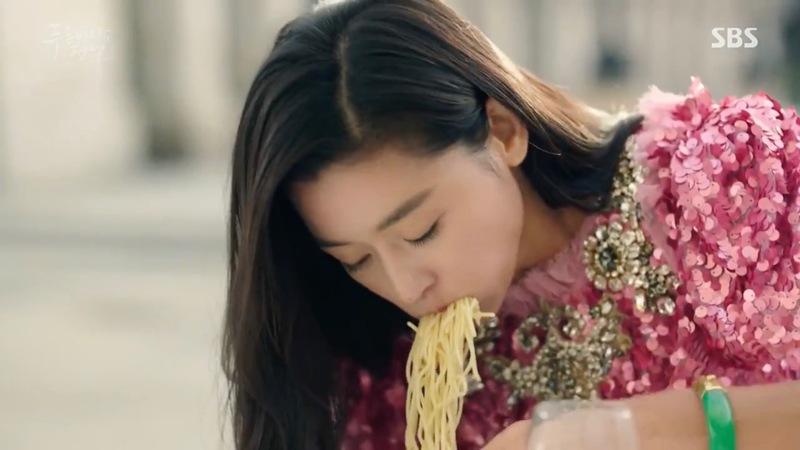 She doesn’t know how to eat spaghetti and Joon-ja – totally embarrassed by the looks of the other customers – teaches her how to do so – while stealing her jade wrist bracelet in the same time. 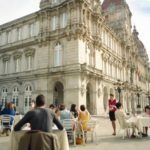 Atlántico Bar is a restaurant is situated right on the Plaza de María Pita of the city A Corunna [A Coruña], Spain. 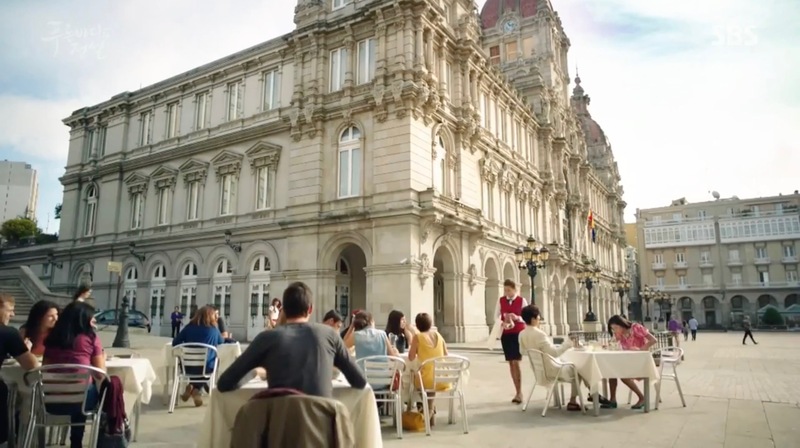 The Palacio municipal [The Municipal Palace] of La Coruña in seen in the background.